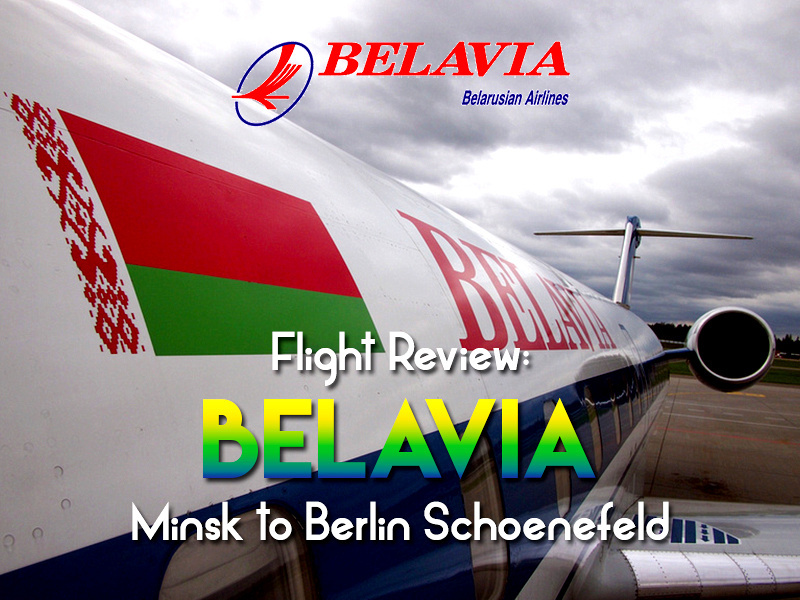 I flew with Belavia from Minsk to Berlin. 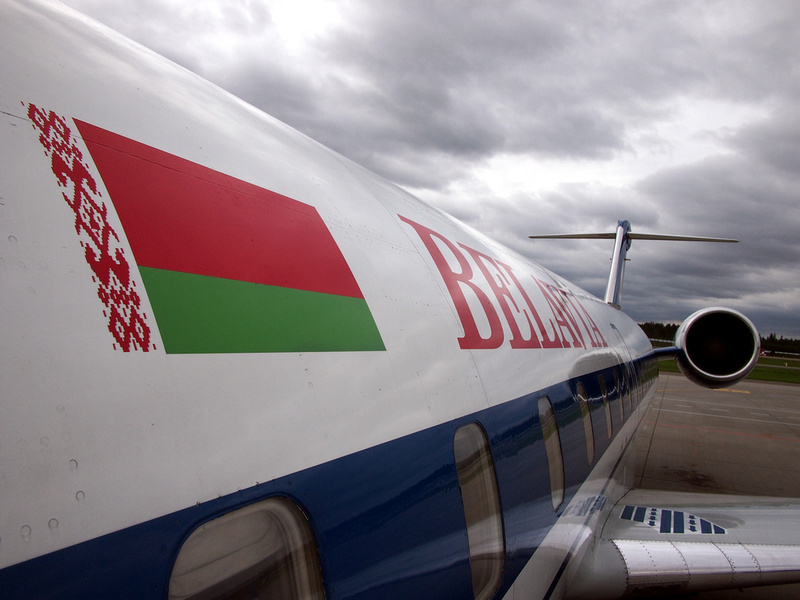 To qualify for the 5-day free visa in Belarus you must fly in and out of Minsk airport. 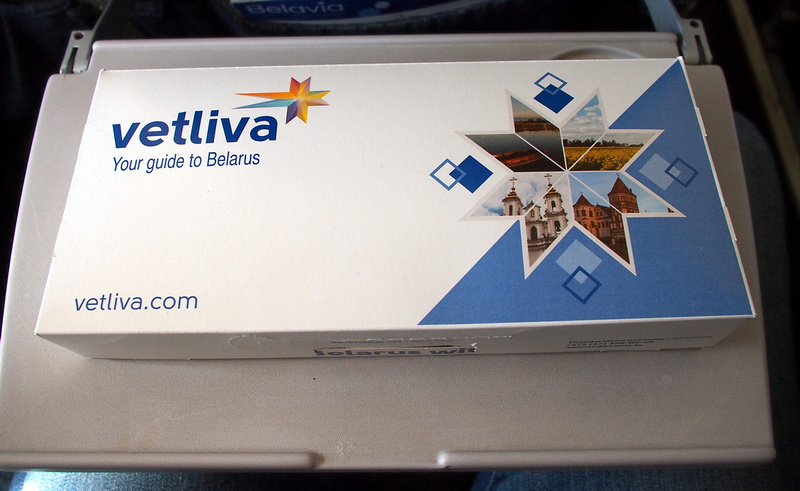 I arrived with Belavia from Vilnius. For my exit flight I just looked at what European flights were close by, and Warsaw and Berlin were the best options for me. 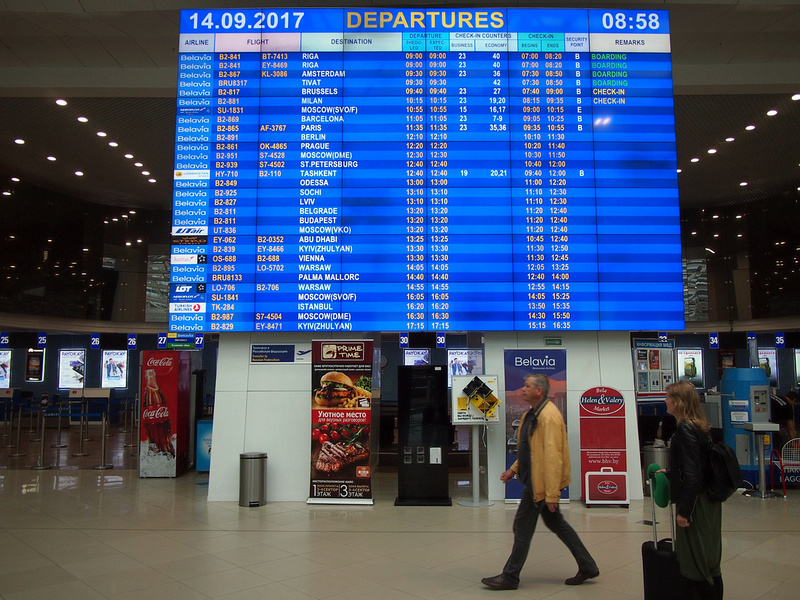 compared flight options with Yayama and Belavia was the cheapest flight, and also direct. I also booked on Vayama as their booking process is much simpler. The flight departs at 12:10 and arrives in Berlin at 13:05 (one hour behind), with a scheduled flight time of 1H, 55M. Like my flight from Vilnius, the flight to Berlin is in a Canadair (Bombardier) Regional Jet 200. 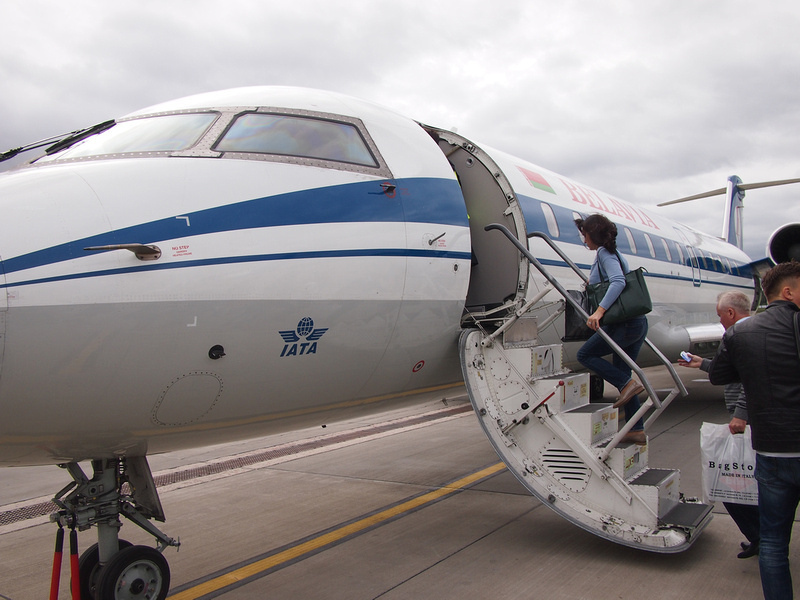 This aircraft was still sporting the old livery, which is being phased out with a new logo. 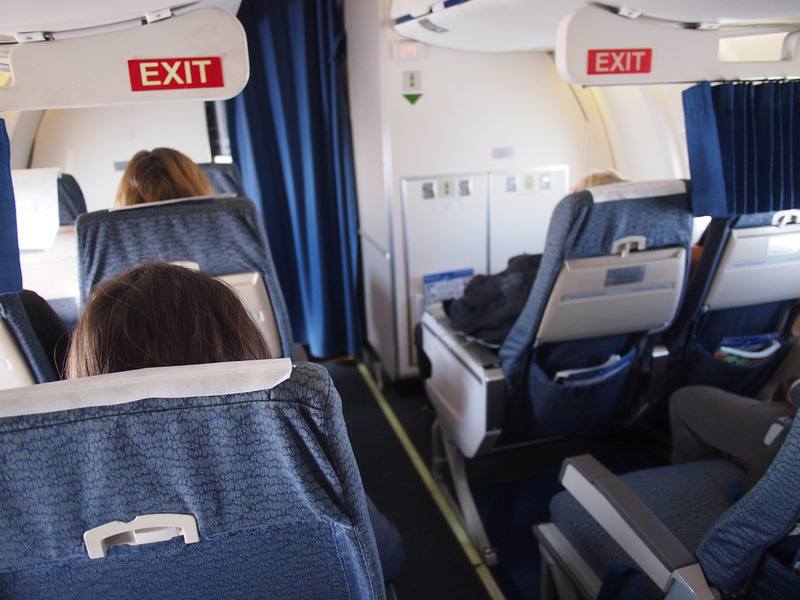 The Bombardier Regional Jet has a small cabin with 4 seats across. 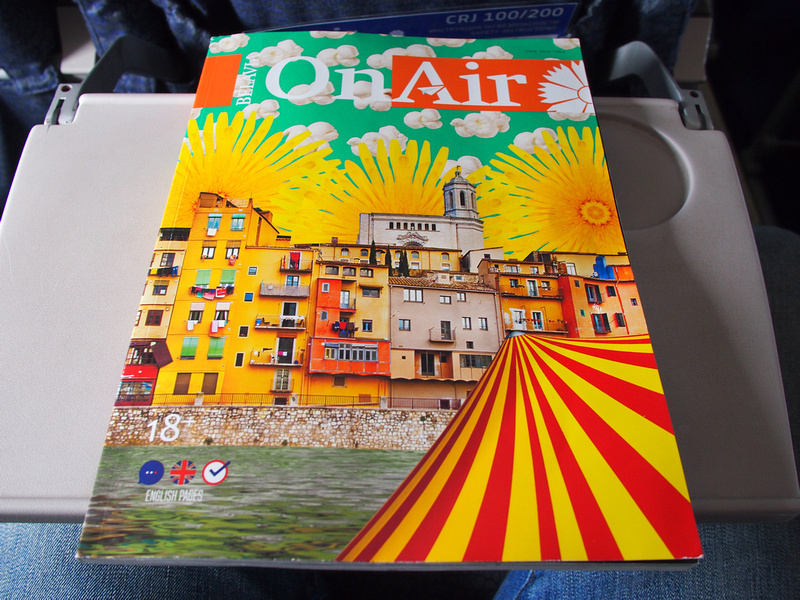 OnAir Magazine – the inflight magazine of Belavia. Always look at the route map for future inspiration. 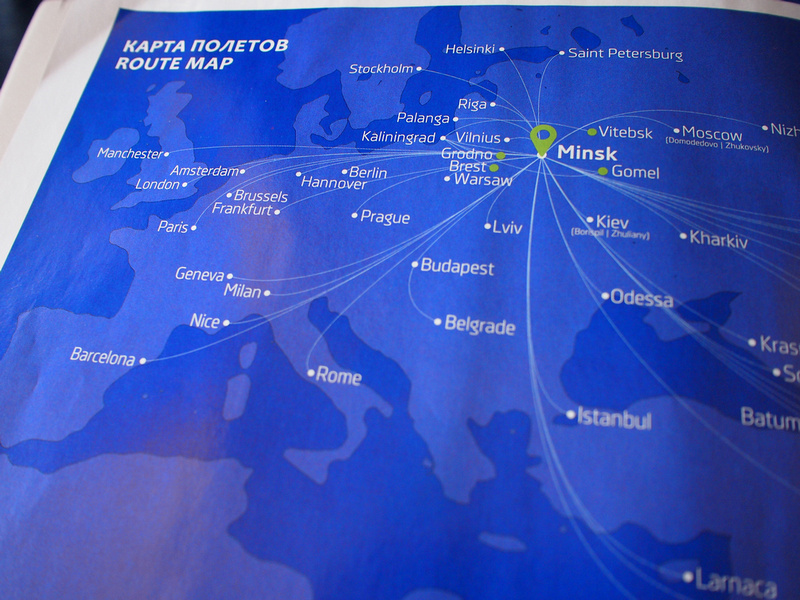 Hmm, maybe I’ll go to Kharkiv next time. 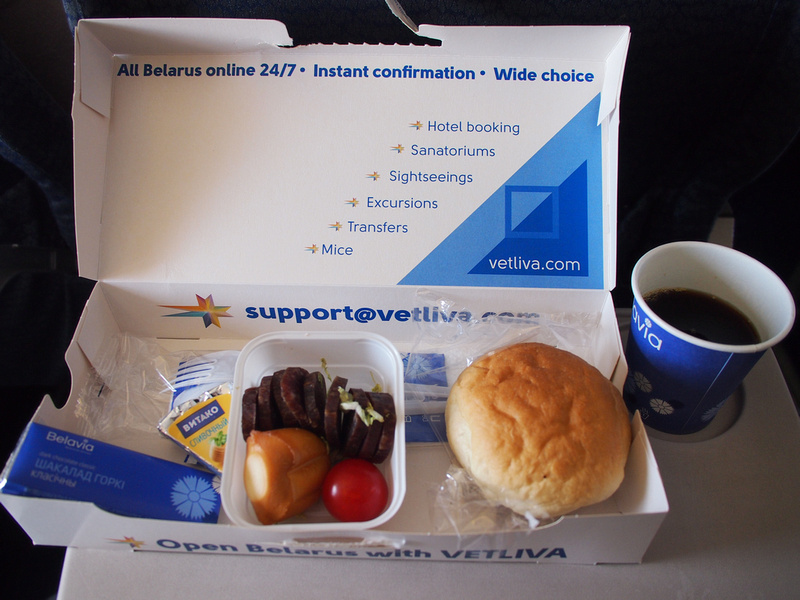 On this flight a pre-packaged lunch box is served. Lunch consisted of a bread roll with some kind of sausage, a tomato, and two types of cheese. 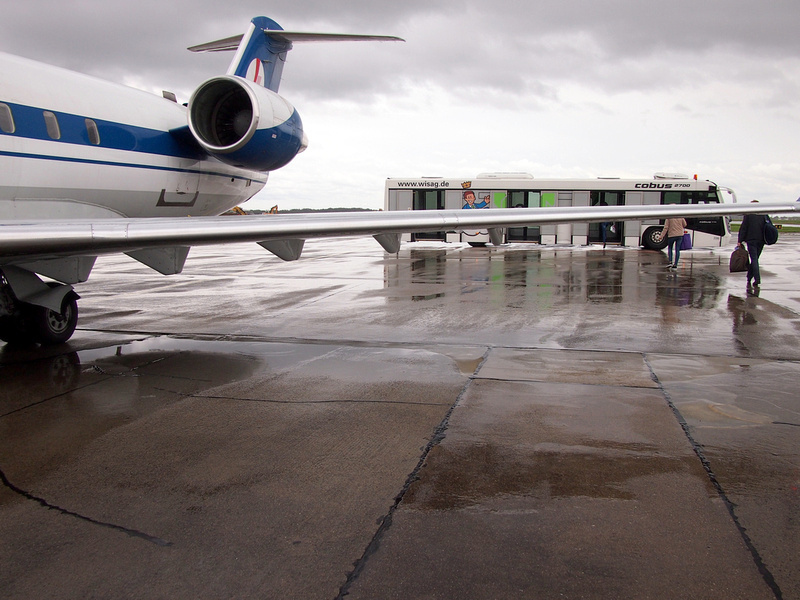 We arrived at a rainy Berlin Schoenefeld airport. Here you can see the new airport under construction, which has been famously delayed for years. Overall this was a good flight to depart from Minsk.